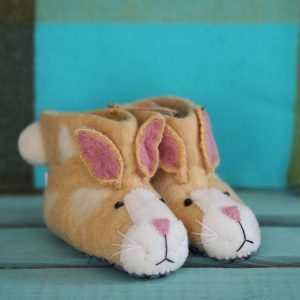 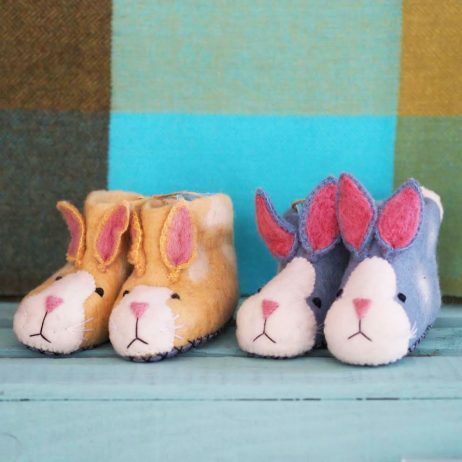 Keep little feet warm and cosy in these adorable rabbit felt slippers! 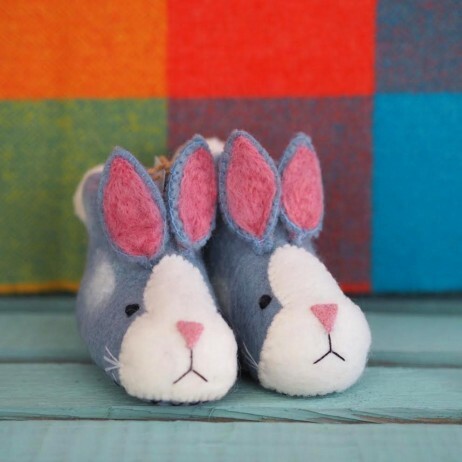 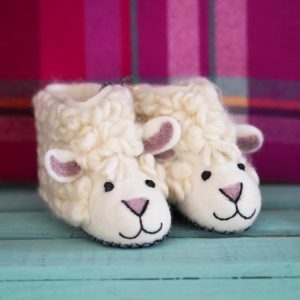 These rabbit felt children’s slippers are made by shaping organic wool with soap, water and hand pressure. 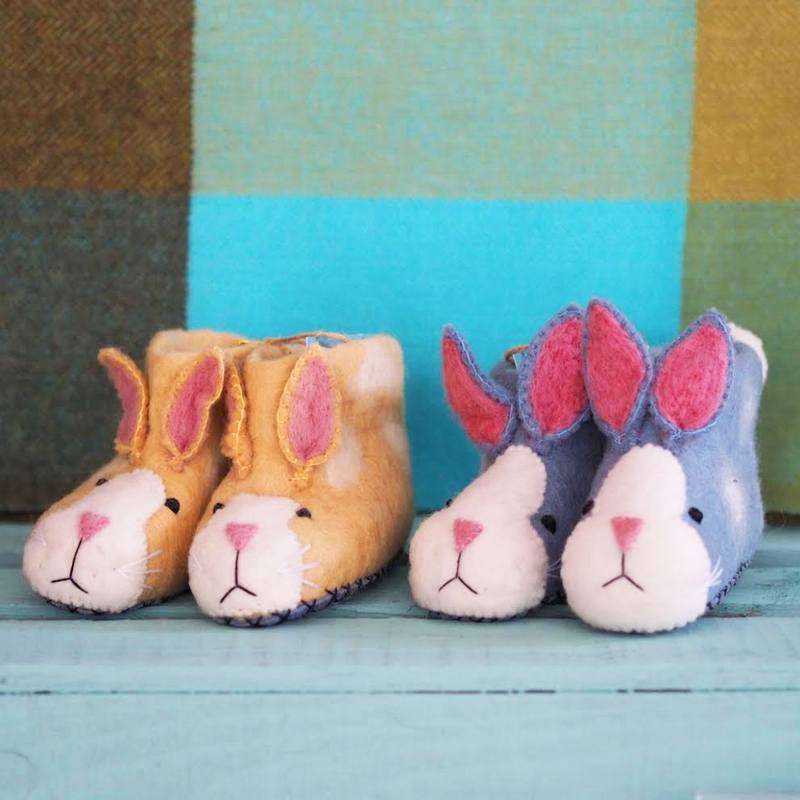 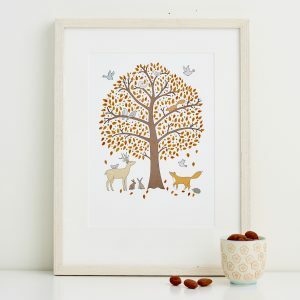 Cross stitched, soft suede anti-slip soles finish the slippers.